The only LEED Accredited Interior Designer on Hawai'i Island and a member of the Sustainable Furnishings Council, Trans-Pacific Design offers experience in a wide spectrum of interior design specialties including Residential and Hospitality Interior Design and Model Homes. Our full-service interior design firm will work with you every step of the way to make sure the end result is what was envisioned. Let our award winning team create your award winning interior. We are an island wide business that focuses on decorating your home with characteristics that describe you. Design styles such as modern, classic, island elegant or our traditional Hawaiian Styling are offered to give you a design that compliments your lifestyle and interests. Creating your island dream home is a journey, one we're always excited to take with you, offering our experience and expertise along the way. With more than 20 years of experience, we’ve designed and decorated both residential and commercial properties in the islands and throughout the U.S. We will be there from the design to overseeing the construction and completion of your home. The elements we use to accessorize and design your home with are always customized to your needs with quality in mind. Want unique, classic or modern design elements? We’re the design team for you! 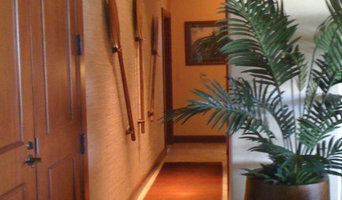 Honolulu Full Service Design Firm Specializing in Kitchens & Baths! I started my career over twenty years ago as a Certified Paralegal and I was a key part of a few successful ventures along the way, but my passion has always been interior decorating. More than ten years ago I sold my Southern California casa and moved to Kailua Kona to build my dream home and soak up island life. The opportunity to be directly involved in the design, build and decoration of my home proved inspirational and I founded Island Style Enterprises to network people in need with talented and proven professionals. Good help is hard to find, as are good people, but the islands have so much to offer. My experience includes the tutelage of an expert with a 50 year history in custom window coverings, including manufacturing. As a Certified Interior Decorator, I can walk with you through the process of decorating or redecorating that reflects your individual style. Discover how easy it is to freshen things up with a new coat of paint and some window coverings or put the finishing touches on your paradise home. Our team can help you through the process of refining or improving your home or office. When the hard work is done and it’s time to celebrate, we can help you there too with professional event services. If you are looking to design your dream home, give us a call at (808) 201-0909 or click the "Contact Me" button to send us a message. We look forward to working with you! 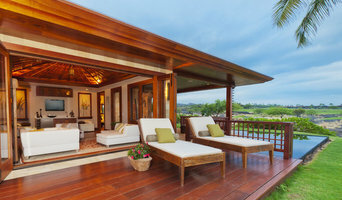 Serving Hawaii's Big Island since 1997, Nicholson designs, builds and manages the creation of high quality luxury homes in the most exclusive locations on the Big Island. Nicholson’s work can be found in communities such as Kukio, Kaupulehu, 49 Black Sand Beach, Pauoa, Kahakai Estates, Kona Vistas and other fine communities along the Kona Coast. Nicholson is a full service provider of design, construction, and project management. Nicholson’s certified design team offers clients the opportunity to work with one contractor from start to finish. Nicholson sets the tone for every project by providing unparalleled supervision and project management. Throughout construction, we address every concern and detail the Owners have, all while complying with the project documents. The end result, an extremely well constructed project with superb quality, adherence to schedule, and budget with the sense of reward/satisfaction an Owner should expect as a result of selecting Nicholson as the preferred licensed general contractor. Interior design, certified Feng Shui Consultant, Redesign specialist. Staging for real estate. Klimt Architects a full service architectural firm with expertise in net zero energy design and environmentally responsible design. We at Klimt Architects understand we have a unique opportunity to provide ground-breaking design while reducing our ecological footprint. We have widespread experience in a variety of project types ranging from residential, commercial, educational and hospitality design to master planning entire communities. We pride ourselves in our attention to detail, our repeat client base and our ability to provide projects that are innovative and energy-efficient while working within tight budgets and schedules. Fine Design Interiors, Inc., based on Hawaii Island with associates in San Francisco, is an award-winning design firm specializing in residential interiors. For more than 25 years, Shirley Wagner, ASID-NCIDQ Certified, and the team of Fine Design Interiors have assisted clients with everything from the furnishing of a quaint beach cottage to extensive design work for custom-built homes and management of construction projects in Hawaii, California, Washington, Colorado, and the Caribbean. A full service design studio in Kamuela Hawaii. Roy Lambrecht Woodworking specializes in working directly with Home Owners, Interior Designers, Architects and General Contractors to provide you with the custom cabinetry and furniture, designed and built to meet your specifications. Or we can supply the materials to build your own rare and beautiful ideas! Why not add yourself to our long list of satisfied customers. Our lumber shop, Kona Hardwoods, has worked hard at developing a close relationship with many of the island mills. Koa, Monkey Pod and Mango – we have a large selection of local lumber, plywood and slabs. We have our own solar Kiln and take great care in our drying and processing of our beautiful Hawaiian woods! RLW is a one stop Custom Cabinet shop, from start to finish, from conception/design stage to installation, we will provide you with the quality product you will be proud to have in your home. Amy's Qualifications & Affiliations M.A. Interior Design Allied ASID LEED Green Associate Amy Vail has been designing environments for more than two decades. Her experience includes display windows, film sets, adaptive reuse projects for historic buildings, corporate events, branded environments, landscapes and personalized designs for residential and commercial interiors. Amy is currently a member of the award-winning team at Trans-Pacific Design in Waimea, Hawaii. Matthew's 20 plus years experience in residential, hospitality and medical design includes clients from Switzerland, Brazil, California, Nevada, Colorado, and the entire Hawaiian archipelago. Matthew is also President of KOA Architects in Hawaii and has expanded operations to Lake Tahoe with his new signature studio focusing on luxury homes and resort clubs, restaurants and lounges. LAKE HAUS is a forward-thinking Interior & Furniture Design Studio in Honolulu whose primary focus is connecting environments to individuals in a way that reflects their personal styles, tastes, and experiences.